The popularity of cryptocurrencies brought forth a slew of factors we need to familiarize ourselves with, but also be very careful about. Cloud mining is an online business field most susceptible to potential frauds and schemes. Over time, we have devised a list of particular red flags, which strongly indicate the presence of underhanded developments and we've also applied it to Eobot. So, our Eobot review will serve to provide essential info on the company and determine how reliable and trustworthy it is. Eobot is one of the cheapest and most easy-to-use cloud mining companies out there. It offers mining platforms for numerous cryptocurrencies. It initially started out as a Bitcoin mining service in 2013 from their headquarters in California USA, which makes them the oldest (and longest running) cloud mining company on the market. The enterprise was profitable from day one and they’ve amassed a huge population of customers and contractors. The main idea behind the concept was getting the “little guy” closer to the Bitcoin mining arena and properly equipping him to enter the race for those shiny blocks. They boast over 800,000 users, millions of API hits on a daily level, and more than 2 PHS of SHA-256 mining capacity sold to its users. 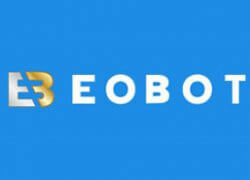 Eobot is a straightforward cloud mining company, which makes the procedural segment quite self-explanatory. After purchasing one of the available contracts, you can start angling for those coveted hash outputs without straining your hardware rig. The mining process commences right away, offering immediate results and 60-second updates. Available rental lengths are 24 hours and 5 years, allowing no returns or exchanges. You can choose your payout in any of the displayed cryptocurrencies. 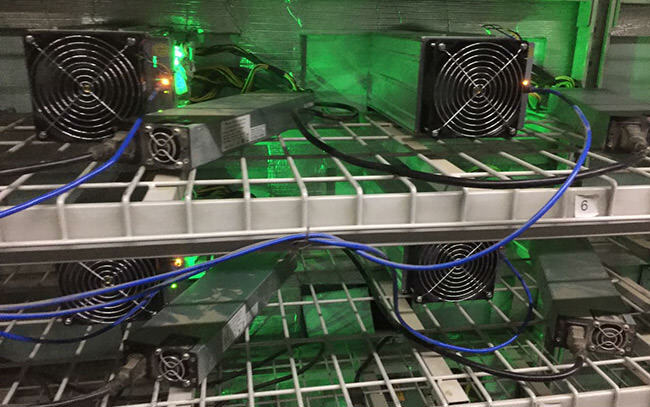 Eobot puts high-level GH 4.0 Antminer S9 mining farms at your disposal, taking the notions like private hardware, space, and cooling systems out of the equation. Cloud mining with Eobot’s hardware dishes out all the pros of the Antminer S9 (high hashrate and efficiency in Joules per GH/s) and removes all the cons (high price and additional funds for power supply, which is sold separately). For all the miners just starting out, it’s important to note that SHA-256 follows the current Bitcoin global block difficulty, which increases exponentially after 2016 blocks have been found (roughly every 2 weeks). The difficulty increase will result in higher electricity fees total, which will reduce your payout-over-time if the price of Bitcoin doesn’t keep pace. According to the CoinDesk’s BPI, however, Bitcoin was under 2,500$ at the beginning of June, only to reach an all-time high of over 2,900$ in mid-June. This data definitely spells favorable ROI numbers, at least, for the time being. Scrypt algorithm, on the other hand, follows the Litecoin difficulty, which also increases exponentially with every 2016 blocks found. Eobot allows you to own cloud instance fractions, if you so choose. SHA-256 offers the hashing rate of 1.0GHS per 1.0 cloud instance owned; Scypt algorithm, on the other hand, provides 1.0 MHS. Before renting Eobot’s online processing speed for mining, you should also familiarize yourself with their essential terms of business. These include some important disclaimers and general obligations of parties under their contracts of choice. Eobot doesn’t allow any fiat in or out and the shown fiat amounts are cryptocurrency equivalents potentially traded on the trending exchanges. Also, going into contractual obligations with Eoboth, you are clearly warned that cloud mining shouldn’t be viewed as your primary source of income, rather a hobby of investing capital you’re ready to potentially part with. Free public and private API with POST/GET support and JSON added through a &json=true command. A public audit of the company, showing the current balances in real-time. Eobot always stood for global public ledgers and quick holdings verification. Update frequency is 60 seconds and you can inspect the user balances alongside Eobot’s hot and cold wallets. Bug bounties for hackers, offering prizes for successful hacks of the software. A “hack wallet” with a supply of 132 Bitcoins, on top of the company’s main cold wallet with 121 Bitcoins. A comprehensive “mining map” and the possibility of connecting with other miners. Real-time website status for the website itself, API, mining, deposit wallets, and withdraw wallets. Secure server and SSL technology. The possibility of redeeming used mining hardware (power supplies not included). Faucet functionality, which allows you to get free Bitcoin and other cryptocurrencies just for visiting the page and logging into your account. Eobot makes their profits by offering different mining contracts and charging fees for maintenance and electricity. We’ve already mentioned the two clouds available. The approximate average price for SHA-256 4.0 GHS is 0.25$ and you can expect your account to be held for 6 months if you’re using your credit card. When it comes to maintenance and electricity, you can expect a fee of approximately 0.00021$/GHS/day for the S9 and 4.0GHS. Fees will be removed every 60 seconds and subtracted from your potential mining payouts. Your balance is available on the site, so it reflects your payouts after the fees have been deducted. Furthermore, Eobot offers a “MyPool” functionality, allowing you to rent a cloud miner and start mining directly to your personal workerID/pool. MyPool lowers the electricity/maintenance fees to 0% and it allows you to mine even the cryptocurrencies not supported by Eobot. MyPool will need a 24-hour period to get started and Eobot states that they’ll not finance any downtime due to invalid data, so you should definitely check your pool info twice. It is important to note that Eobot is not available in Iran, Syria, Cuba, and North Korea due to US Economic Sanctions Laws. The essential task of this Eobot review was presenting the company to the wider audience, but also making sure (as much as possible) that we are talking about a legitimate mining business and not a Ponzi scheme. With the growing popularity (and value) of cryptocurrencies, we have to be extra careful not to invest in an obvious scam. Eobot is in the cloud mining business since 2013, which is definitely a good sign in our book. We can also see the pictures of their mining farms, so we can eliminate the lack of profit-generation capacity (Ponzi). We also have a generous user-feedback, confirming payouts. On the other hand, there are some red flags as well, like the “unlimited” processing power, no exit strategy, and referral programs. Today I got my first payout, super happy!! Very good service, would like some more info chart though. Really hope thay work on that in the future.